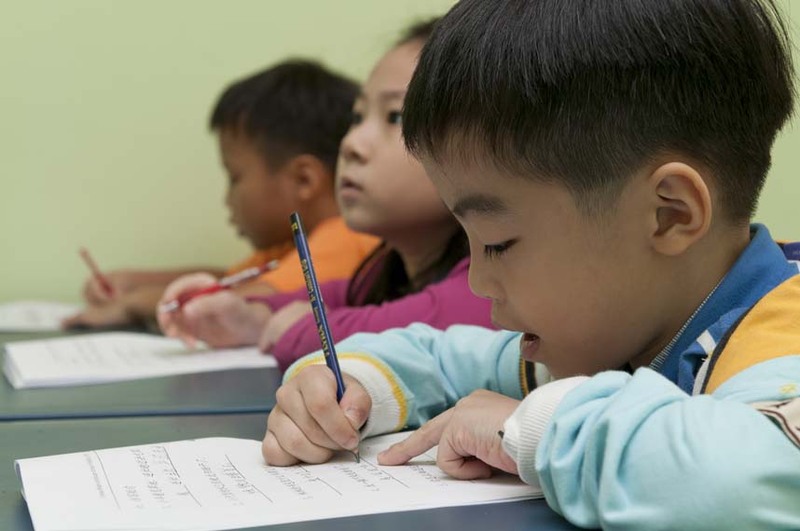 Our Preschool curriculum complies closely with MOE’s Primary School Chinese Language Curriculum, adequately preparing your child for their Primary education. Classes are delivered progressively and accompanied by clever use of teaching aids such as nursey rhymes, words cards and video clips. 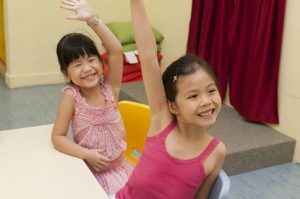 In class, children are encouraged to use simple actions and facial expressions for dramatization to achieve better learning experiences. Apart from learning, we also focus on cultivating good moral values and habits in our children at Chinese Bridge Language School. 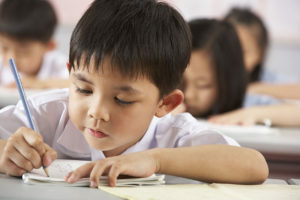 Our Lower Primary classes are based on MOE’s Primary School Chinese Curriculum (Normal & Higher Chinese) and are always a step ahead of the schools’ lesson plans, helping our children better understand the lessons prior to being taught in school. Our children are encouraged to discuss and think through local and global issues through news clippings that are curated by our teachers. This helps enhance their comprehension, mental, presentation and listening skills as they confidently share and their views with their peers. Our Upper Primary classes are based on the school’s textbooks, utilising unique teaching resources and tools to enhance the children’s understanding of each chapter, as well as specific Chinese characters, words, sentences and paragraphs within. 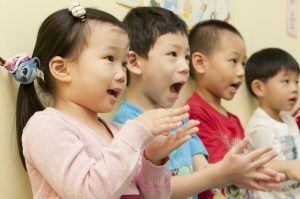 Chinese Bridge uses innovative methods to teach, such as through themes as well as exploration of the language, to foster thinking and expression skills in our children. Our Secondary classes are taught holistically and updated regularly in accordance to MOE’s requirements. Blending current topics, idioms and proverbs to enhance the learning experience, our lessons cover composition, reading comprehension and grammar, to boost students’ confidence in the usage of the language, as well as their writing skills and analytical capabilities. 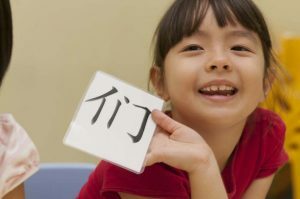 Our Chinese oral lessons also help children master their oratory and presentation skills. Using interesting materials and classroom activities, we help students grasp the usage of common words and methods of expression in their Oral lessons. To further enhance their skills and expressions, they are also taught listening and comprehension during class. In creative writing, we help cultivate their use of imagination in writing interesting stories, while weaving in topics on ethics and moral values. Our classes incorporate passage reading and composition writing, including completing stories, to help cultivate children’s comprehension and writing skills. Through this, they are able to identify the correct synonyms or antonyms, and using the right expressions when writing.